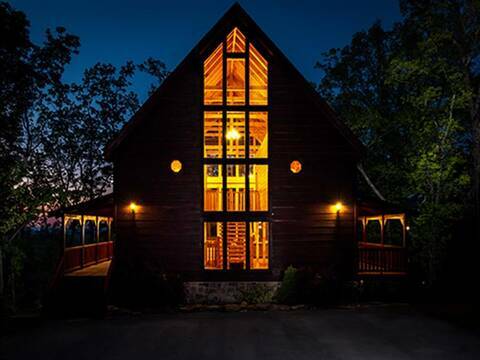 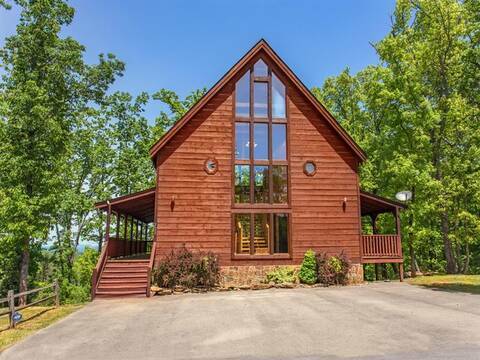 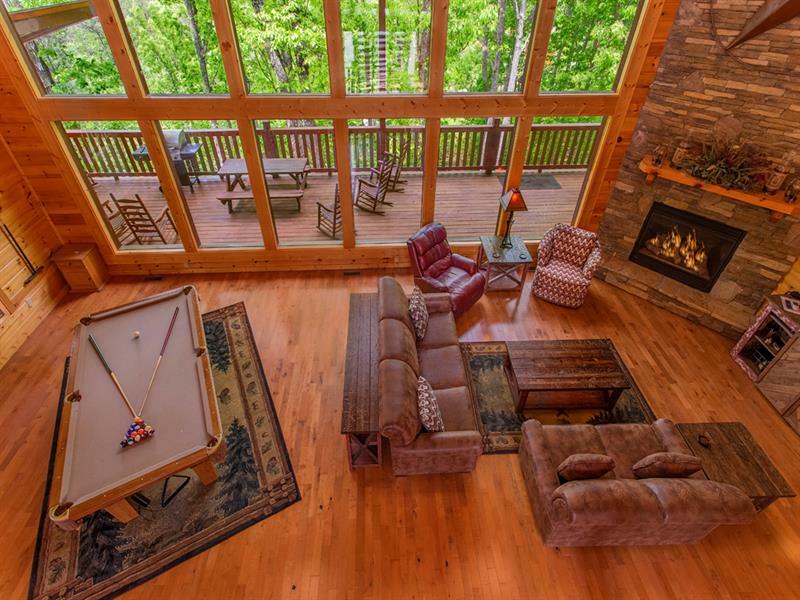 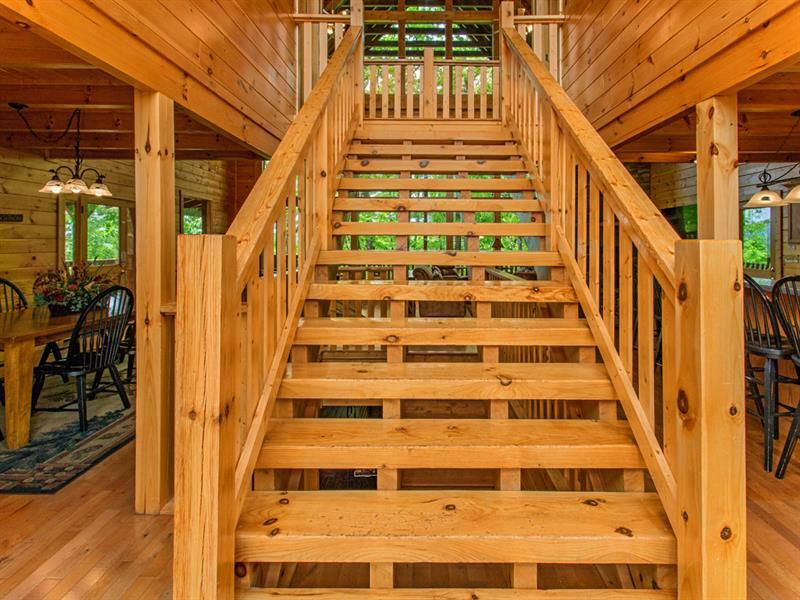 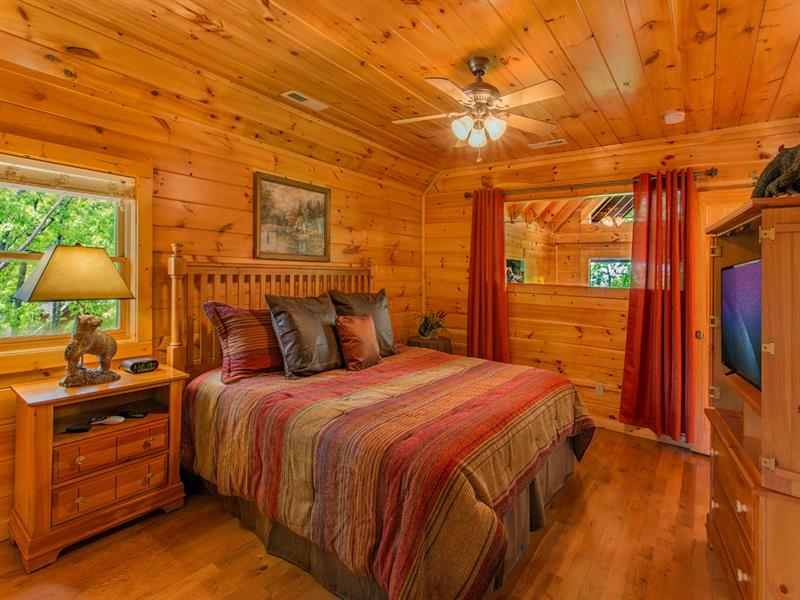 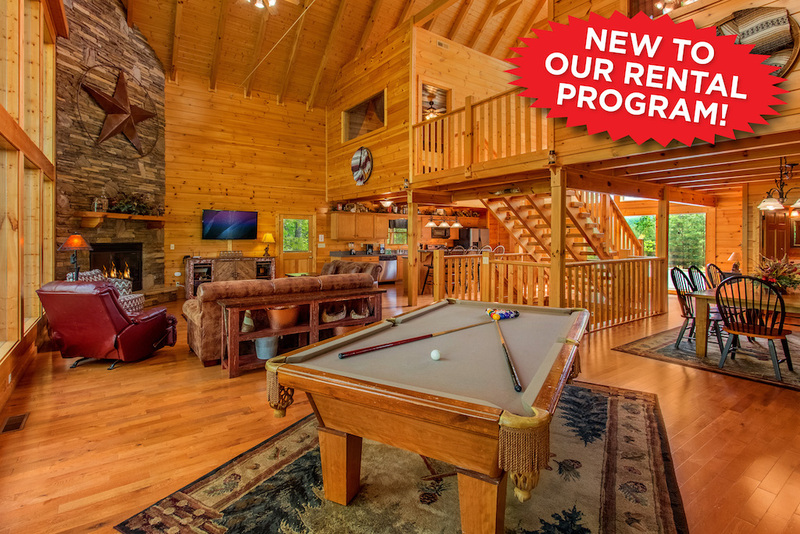 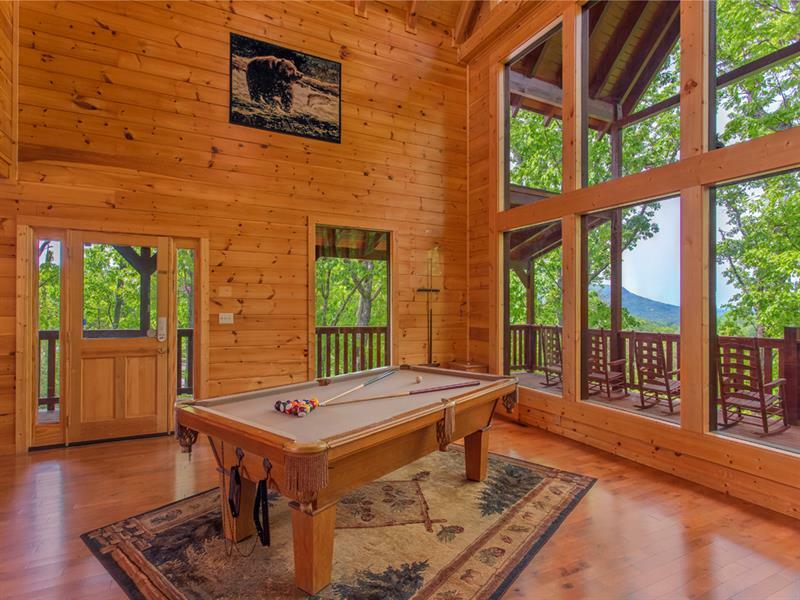 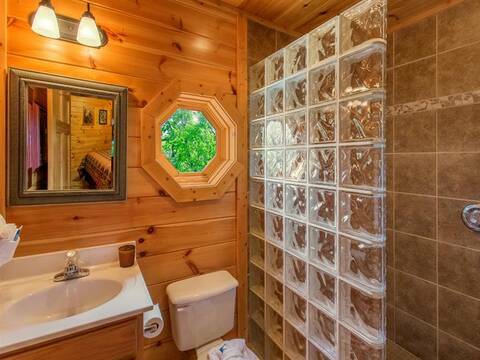 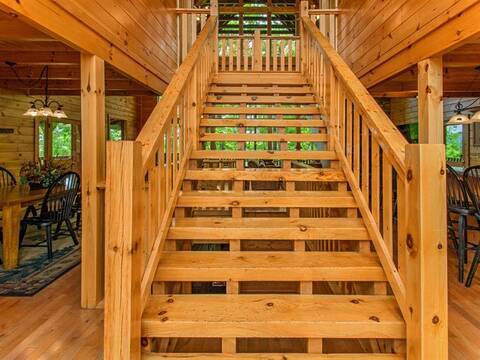 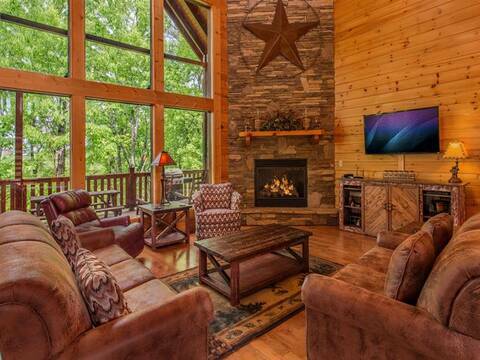 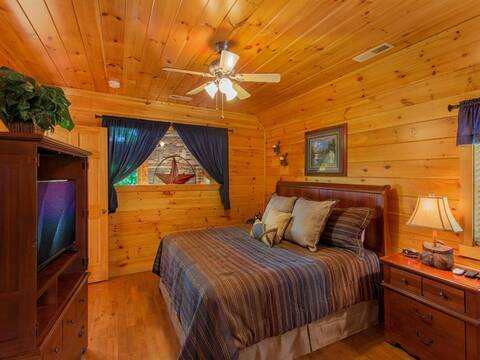 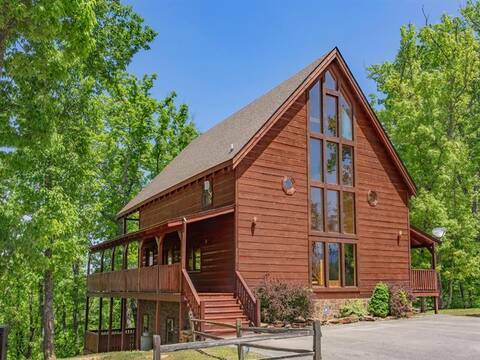 Just the thought of taking a vacation may have you walking around feeling like you are the king of “Cloud 9”, but choose your location wisely and you will actually BE the king (or queen) of “Cloud 9!” This particular cloud is actually a luxurious, custom-built Pigeon Forge cabin in the Great Smoky Mountains! With beautiful views and a gorgeous wall of glass windows reaching to the 36’ cathedral ceiling, you will be blown away by the luxury you will find in “Cloud 9.” . 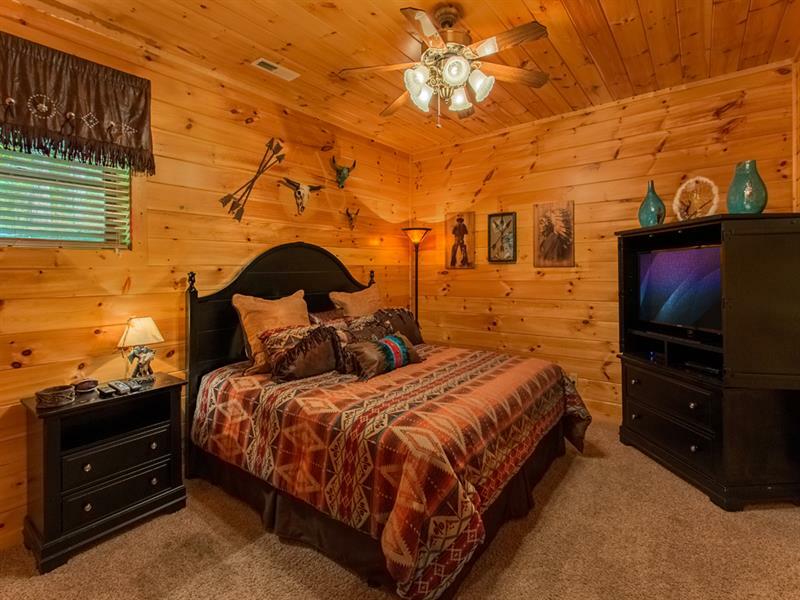 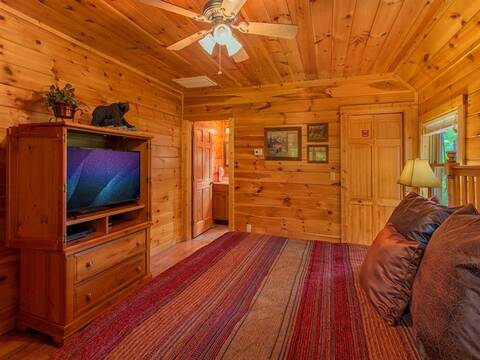 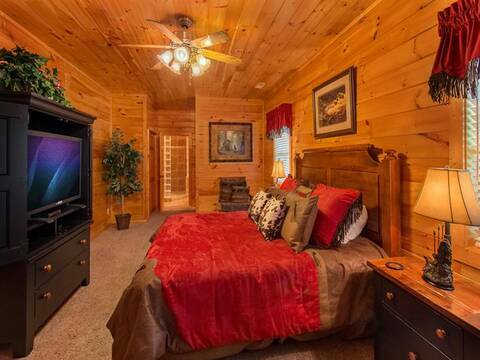 “Cloud 9’s” great room features a solid wood interior, a stone gas fireplace, widescreen plasma TV with Satellite, Wireless Internet Access, DVD player, and a rusty yet elegant décor. 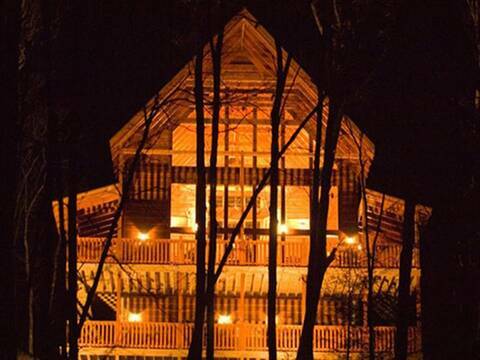 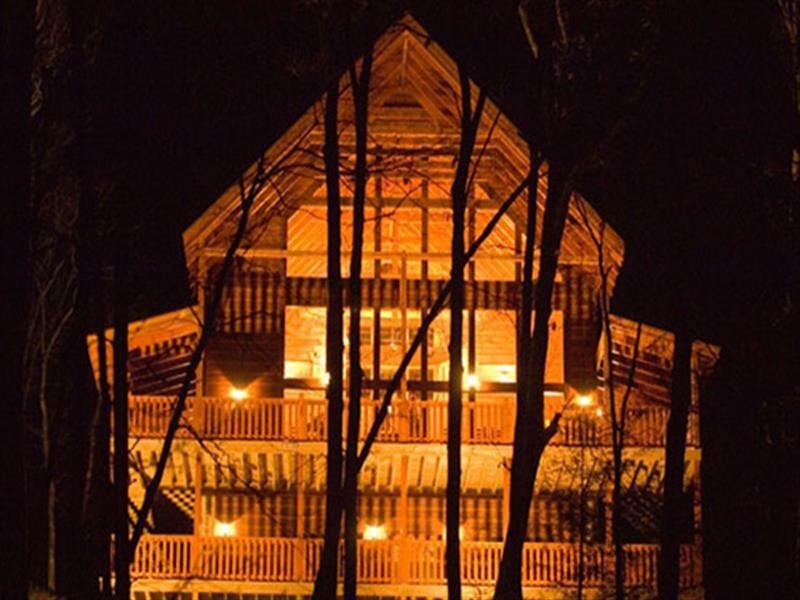 And with comfy accommodations for up to 10 people, “Cloud 9” is the perfect couples retreat, family reunion base or a "freinds" getaway! 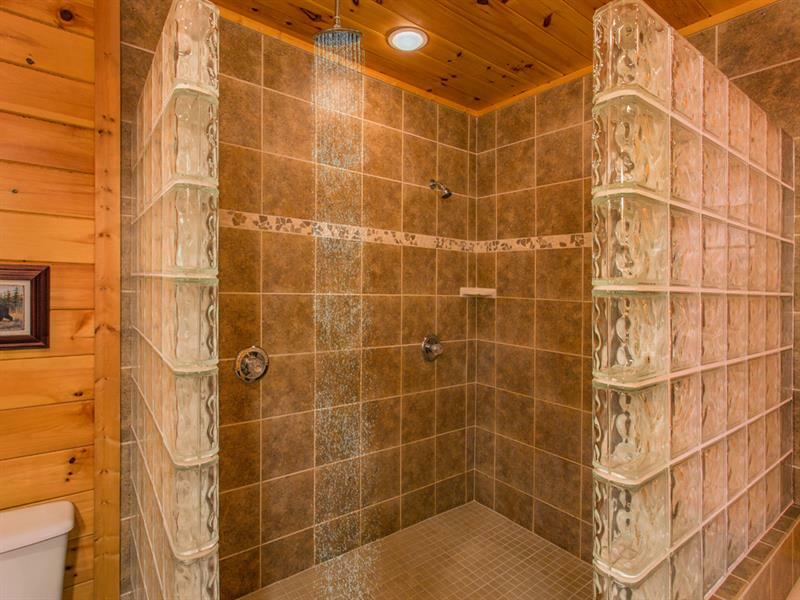 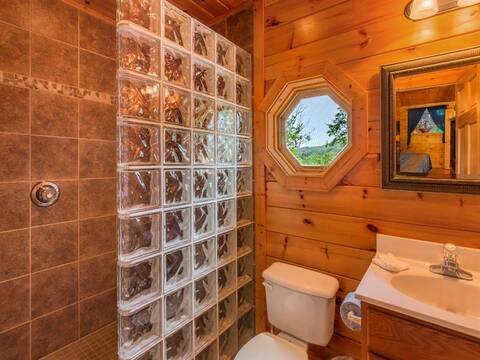 “Cloud 9” has so many luxurious amenities, that you may never want to leave. 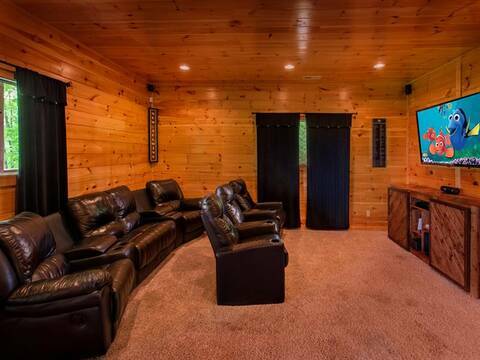 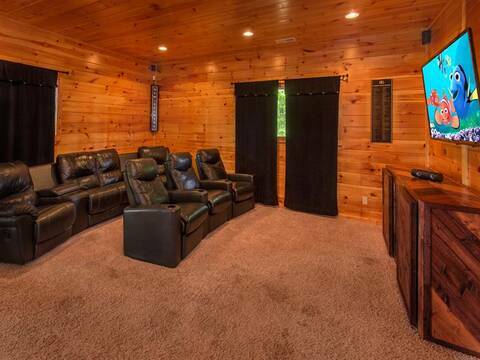 After you watch your favorite television shows in high definition, or play the latest Blu-ray discs in the home theater room, complete with theater seating (how cool is that? 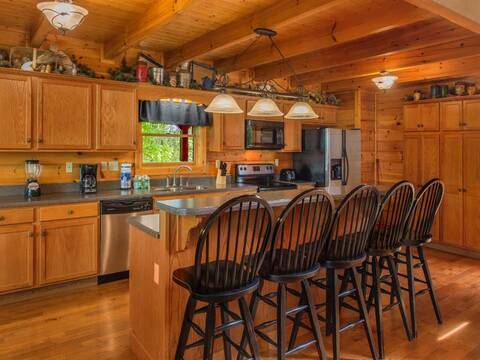 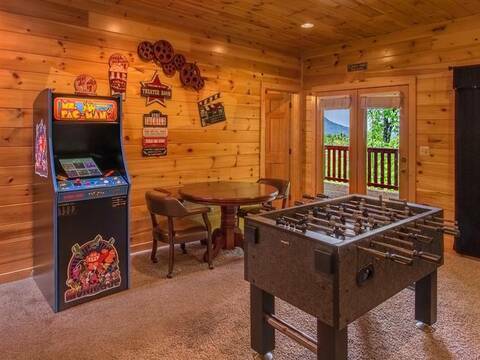 ), kick back and play on the arcade, or the Wii game system. .
“Cloud 9” includes a fully-equipped kitchen with a kitchen table, kitchen bar and a dining room table with seating for eight. 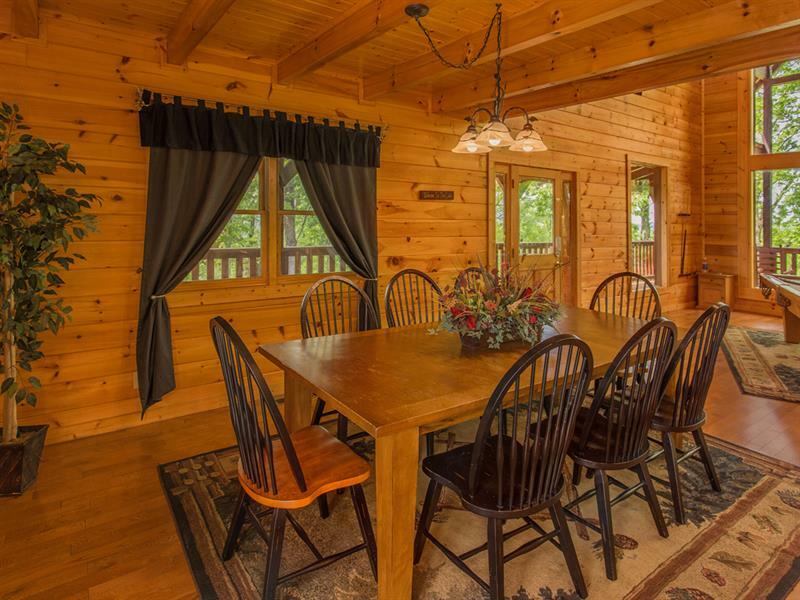 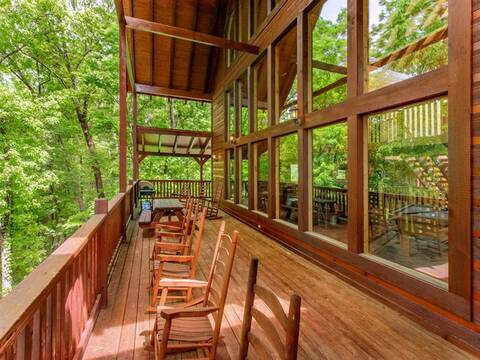 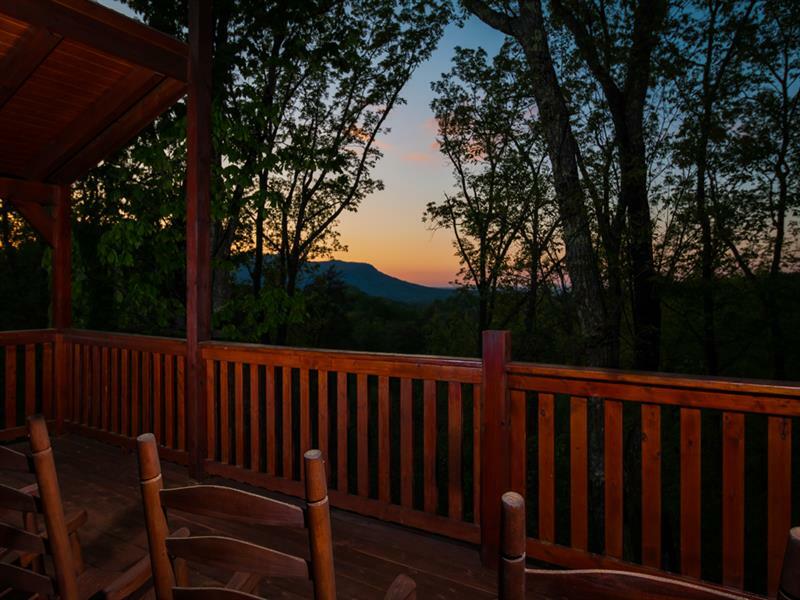 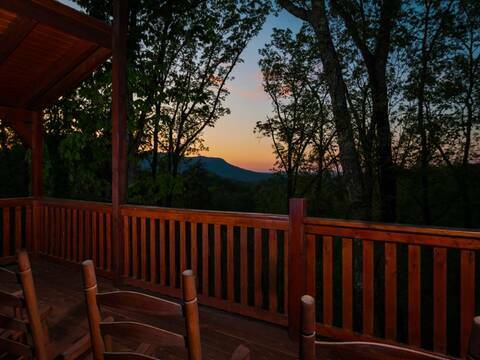 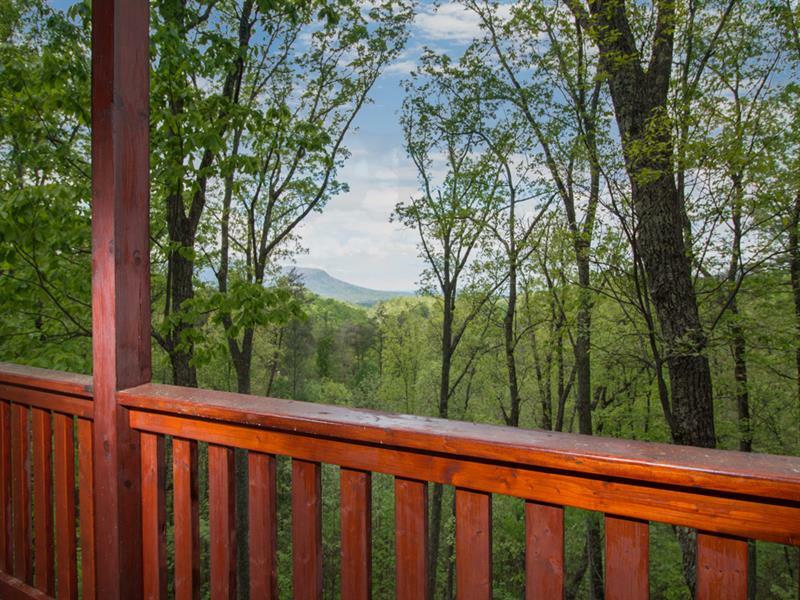 If you would rather enjoy the fresh mountain air, take advantage of the gas grill, picnic table and rocking chairs on the deck and have a cook out! 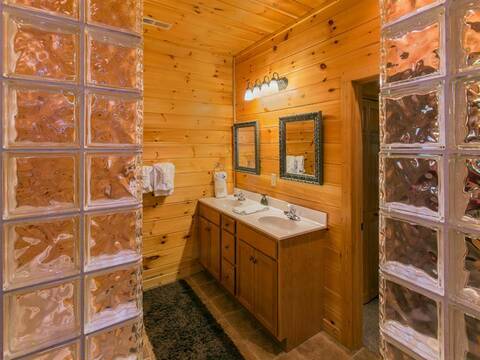 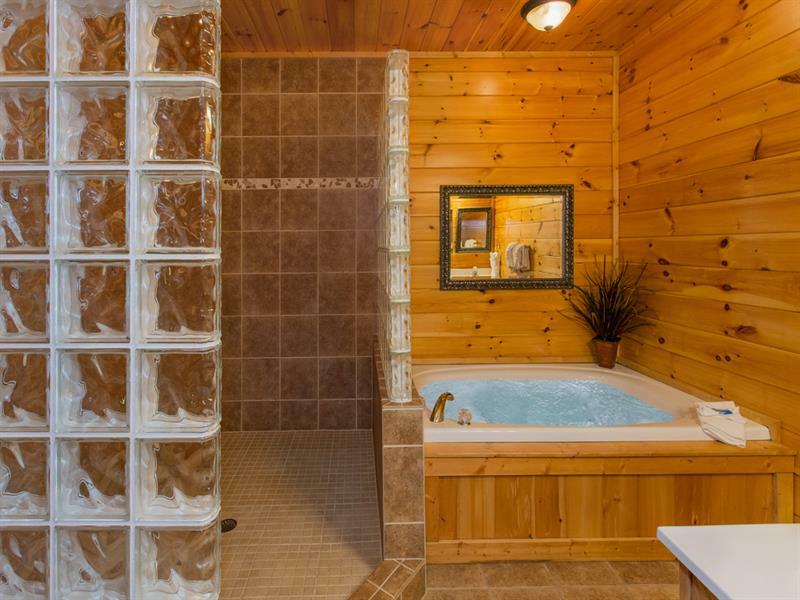 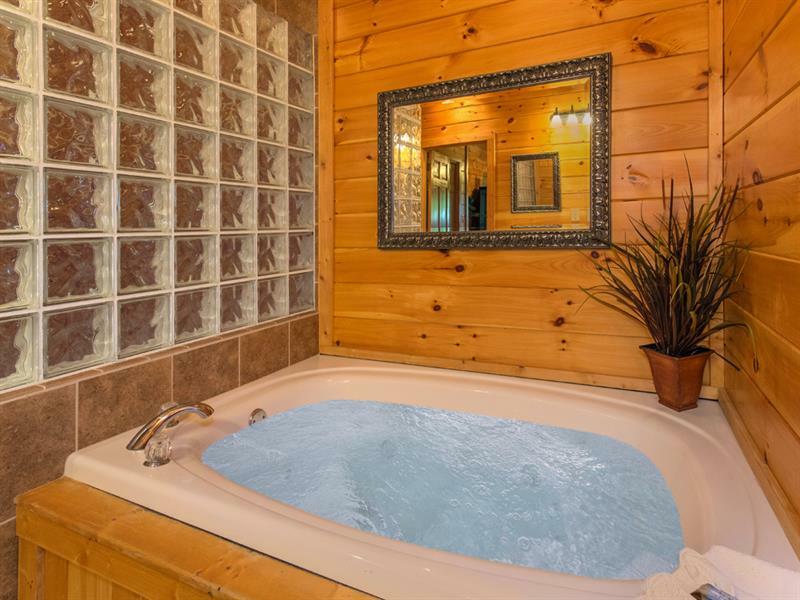 End the day with a relaxing soak in the hot tub on your private deck and enjoy the beautiful mountain views in “Cloud 9!” .